Hajj (Islamic pilgrimage) is one of Islam’s most publicized obligations, the last between them to be ordained, and it is to be obligatorily performed once in a lifetime by each capable Muslim, but they can still perform it optionally afterwards whenever they want. The word Hajj means to “intend to journey to”, so, Hajj is both a physical and spiritual journey aiming to purify, alter and better a Muslim’s life and afterlife. Hajj is a symbol of ultimate obedience, servitude to God, patience, submission and perseverance. Hajj is the earth’s biggest annual gathering of people, two to three million people and even more gather to perform it from all over the globe. Hajj is performed during certain days on the last month of each lunar Hijri year, Thul-Hijjah. Hijri lunar calendar is shorter than the solar evangelic calendar by eleven days, so, Hajj actually moves around in the solar calendar yearly. Hajj starts on the 8th and ends on the 12th day of the month Thul-Hijjah. This year, it is going to be approximately by the 19th – 23rd of August 2018 or as it will be announced by Saudi Arabia’s High Judicial Court after reviewing moon sighting reports of the month of Thul-Hijjah. Hajj rituals take about five to six days. Ihram, which is a state of purity and intention of performing Hajj. Men dress in a certain manner symbolizing unity and equality and women dress modestly. There is nothing to distinguish between them. It looks like a rehearsal for the Day of Judgment. 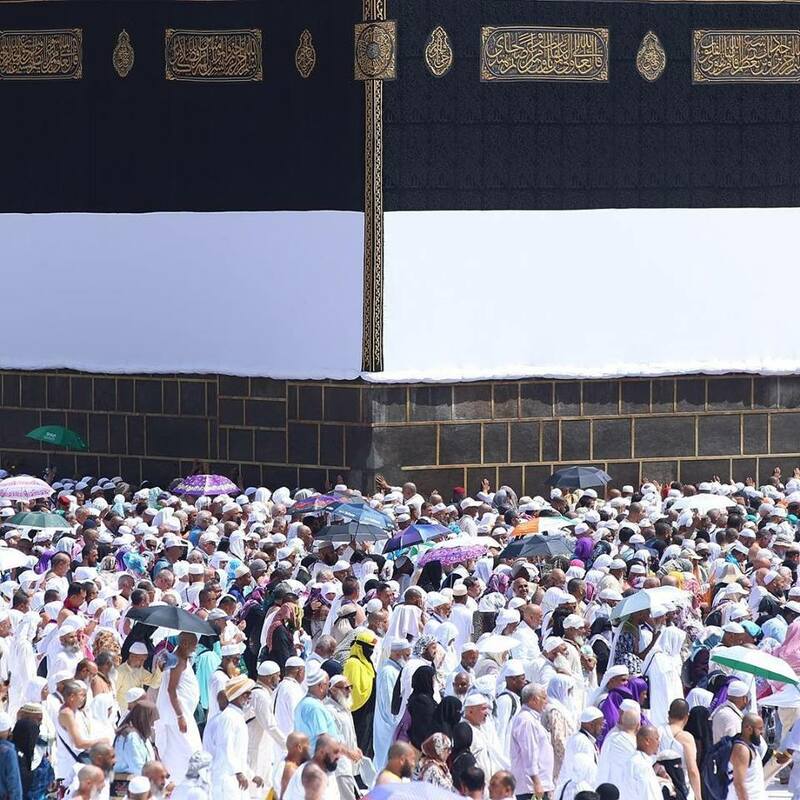 Tawaaf, each person must walk counter-clockwise seven times around the Ka’aba (cube-shaped house built for the worship of the Single God Allah at Mecca) starting from the Black-stone corner. As-Sa’y (Al-Safa and Al-Marwah), pilgrims walk seven times between the two mountains of Al-Safa and Al-Marwah (it’s in imitation of Hagar’s search for water long ago). Mount Arafat, pilgrims go to the plains of Mount Arafat, where the Prophet Muhammad gave his last sermon on the ninth day of Thul-Hijjah. Stoning the Devil, after Arafat, pilgrims move to Muzdalifah where they spend the night and gather pebbles in a certain number, they move to Mina to perform symbolic stoning of the devil ritual in which they fling pebbles at three walls known as Jamarat (it symbolizes how the devil tried to mislead Ibrahim (Abraham) (PBUH) from obeying Allah but was fought off when Ibrahim threw stones at him on three occasions). Eidul Adha, it’s the tenth day of Thul-Hijjah to the thirteenth. The pilgrims may perform the ritual of animal sacrifice (Udhiyah) and continue with other rituals of stoning the devil to complete their Hajj for two or three days as they wish, and perform another Tawaf before departing. So, is it all for God’s pleasure or is there also a gain for a Muslim out of this? Hajj is for: worldly benefits, remembrance of God, and Taqwa (Piety). That is what a pilgrim comes back baring; whatever profit of business he has done, rewards for the obedience he fulfilled, and piety in his heart after his records been cleared of all previous sins. Piety is to be as a shield against straying away from the righteous way. 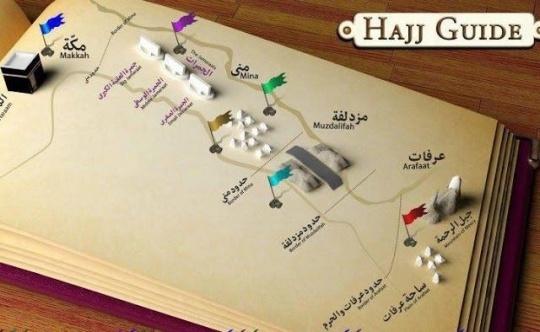 It is very interesting to know that Hajj is mainly based on events related to Ibrahim (Abraham) The Messenger of God and his family (Hajar and Ismail); this actually proves that Muhammad did not innovate Hajj. 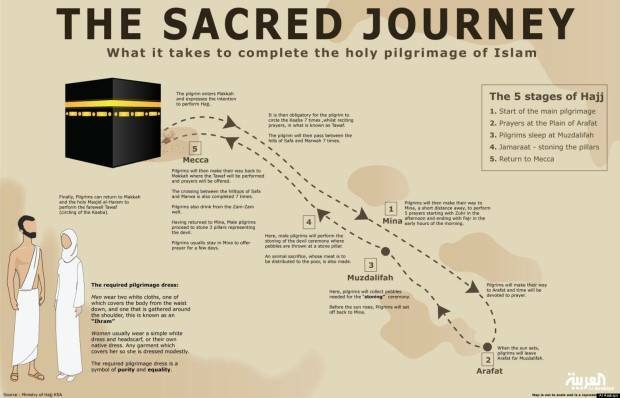 It is even more interesting to know that all three Abrahamic religions (Judaism, Christianity and Islam) have this act of worship; Hajj (pilgrimage) in them for “The same One and Only God” Creator of all the worlds. However, they perform it now in different forms, times and places (it’s important to mention that based on Quran, they should all perform Hajj as Muslims do to Mecca and their current Pilgrimage destination is a falsification). Hajj in Islam is an ordination from Allah on every capable Muslim (physically, financially and can safely perform it). Hajj is where all distinction between people is eliminated; all people are wearing the same clothes, and doing the same things, in the same way, time, and place. It’s a sign of total submission and obedience to Allah, and a turning point in a Muslim’s life.